Though attached to the store, I like to think of this forum as a bit of the shop itself, in which book discussion happens, favorites are lauded, and I share some of the things of which I am excited and love. I will share comments about books that I may not carry for sale, post about favorite art or music, draw connections between disciplines…we shall see. So without further waiting, here is my first installment of Recommends. Summer, but a younger summer than this one; the summer back then was no more than my equal in year. True, I still wasn’t happy, not happy to my core, but I had to be in the way that everyone is. The sun set me ablaze…This long country road before and behind me…even heaven itself could not relieve it of its bleakness…An all-knowing road. A road reserved for those who had been, in some way, left alone. This first story reads like a fairy tale for the turn-of-the-century adult; the depressed traveler leaves behind a life for reasons not explained, and during the pilgrimage encounters along her way several strong impressions and visions that give the story its intense religious nature and illuminates the mental state of the wanderer. She reflects on paintings from her youth, but is than joylessly “cast out of myself,” realizing that this is only in her mind now, and has nothing to do with her present life. She watches several scenes of country life cross her path on the road, then is disturbed by a cyclist that rides by, her abhorrence to the scene irrational: “Oh, how unhappy I was about this strange cyclist. Not even if the love of mankind had reconciled me to him, forcing me to reconsider, not even then would I have been able to smile again. Had I slowly lost all my gaiety in life, all my confidence?” She joins a group on a wagon, and chooses a trunk that holds a snake, but is not afraid of the creature, but appreciates the symbolism of its coiled form. Later in a tavern, where she seeks refreshment, there is another diner that is an ill man that in her vision is repulsive as Death, and causes her to cry. Upon reaching her final destination, a rented room in a country house, she is kept late into the night by a dizzying tale of love, told by the zither-playing woman who tends the house. And other things came to mind, too, for we are bound to all the suffering that occurs on our account. It is engraved into our lives. It clings to us like guilt. As if in passing, it magnifies our dealings with this vast nature a thousandfold. If we were guiltless, to be sure, it would be a beautiful, holy sight. Like a shower of stars, it would affirm our life. 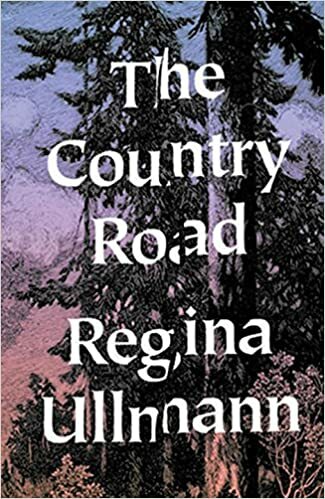 This series of extended figurations illuminates the kind of thoughtful and clever writing Ullmann is capable of; she brings the imaginative and fanciful into full natural reality, weaving a layered tapestry provoking ideas and beautiful images. In the story “The Hot Air Balloon,” which puts the reader’s mind aloft (another realm Ullmann dwells in) she writes early on, “The green was already showing on all of the trees and shrubs, but only at the very tips – as if a green hand had brushed over them…” Either a giant has wandered by, or the airborne are reaching down with painted fingers. Her work allows for just this kind of imaginative speculation, so original and perceptive, that a reader has fun conjuring in their mind’s eye the picture. You shall experience unto the end who you are and what you are, and who others are and what they are…All that will belong to you is poverty…This is my intention, to which you must be faithful. And this faith, if you will, shall be your only victory. This quiet faith, not that in God, but in nature and the actuality of life, may be rewarded, because you are then awake to the experiences that are a part of your memory and spiritual undertow, and this seam beneath the film, is where much is happening. The quietude of the inner life and the impressions collected in a small world give these stories their gravity. In reading through this at times charming and quiet group of stories, I thought often of the pictures of the Norwegian painter, Edvard Munch. His often depicted empty or sparsely occupied roads and streets, his strange and symbolic coloring, the whirling landscapes, his figures engaged in solemn domestic scenes, mourning, figurative portrayals of dark emotions, and above all the modern affliction of alienation and loneliness. Many of Munch’s works were done twenty to thirty years prior to this book’s original publication, but I wonder if Ullmann was looking at or how aware of his work she was. If it can be said that her stories are often gradations of a self-portrait – and according to her unhappy biography they probably are – then they are equally as penetrating as those of Munch. Despite having the adulation of those giants of German literature we think of as defining the modern era, she does not have a large standing reputation. The appearance of this slim volume should do much to rectify the situation. Yes, the work is bleak in many regards, troubles itself with those heavy questions that today many scorn as too much, or too anxious; certainly there is a determined strain of piety which the non-faithful may set aside as old world or quaint, and yet, she does it all uniquely, and she can craft sentences and images and metaphors along with the best of them. There is also deep love and delicacy and kindness and much beauty, and absolutely, it is a group of stories that fully rewards an unvarying, word-by-word engagement.